Jiyun Zhang is developing tools to safeguard intangible cultural heritage practices, such as shadow puppetry, in this era of modernisation and globalisation. Jiyun Zhang is a researcher and audio-visual artist. She received her Master’s degree in Audio-visual Art from the Animation Film department of the KASK in Gent. 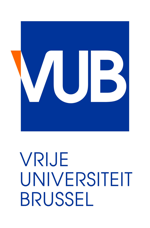 She is currently working on her PhD research at the Vrije Universiteit Brussel (VUB) at the faculty of Art Science and Archaeology. She is interested in cultural, media and intangible heritage studies. Her work is inspired by the spirituality of ingenious philosophies. This is also reflected in her current research project: Audio-visual Interpretation of Intangible Cultural Heritage and Shamanistic Expressions of Minority Ethnic Groups in China.